There is no longer any need to make stop-ends around the edge of the slab. This brings huge savings in both time and costs. 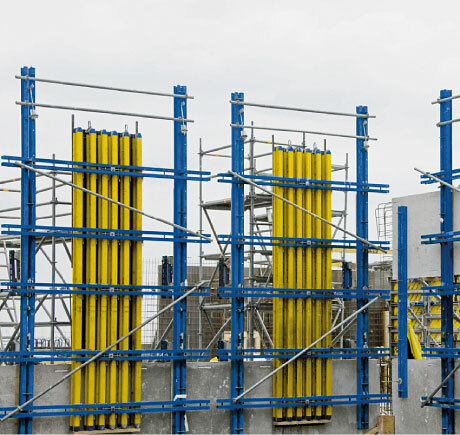 Facade formwork Top 50 utilises the pre-cast members as stop-ends and does away with the need for working-platform railings and guard rails because fall-arrest barriers can be integrated using scaffold tubes. 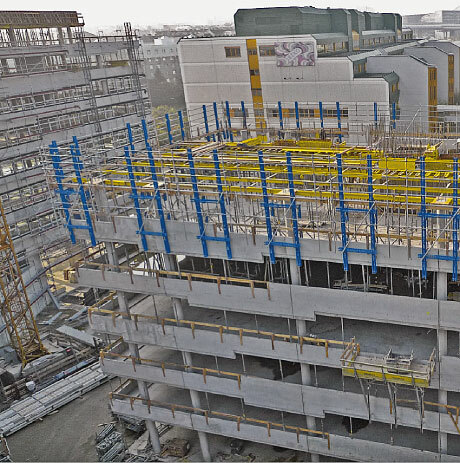 Fast construction progress, no extra working and protection platforms and outstanding cost-efficiency are the defining features of Facade formwork Top 50. 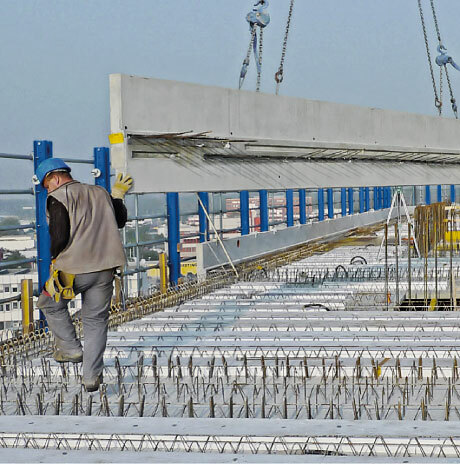 Both with integrated and with set-back CIP columns, Facade formwork Top 50 is the cost-saving solution on construction projects involving pre-cast facades. Thank you for your interest - Facade formwork Top 50. Thank you very much for your interest - Facade formwork Top 50.